Woolly mammoths roaming the countryside, heath hens back in the fields, passenger pigeons swooping around in great clouds? Believe. 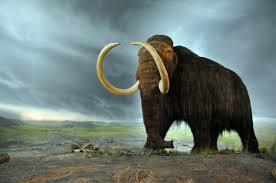 Believe, specifically, in de-extinction. God knew what He or She was doing all those millennia ago; but not all creatures were created equal. Some species have fallen victim to other species, ice ages and natural calamities, but the worst of the problems have come from – guess where – humankind. Thick formations of migrating passenger pigeons, once the most abundant bird in North America, were common up until the late nineteenth century. But their habitat and food were lost to deforestation, and finally they made too-easy targets for the shotguns that dropped them by the billions. Martha, the last known passenger pigeon (named in honor of First Lady Martha Washington) died on September 1, 1914 in the Cincinnati Zoo. Heath hens met a similar fate largely through their attraction for the dinner tables of humankind. Phelan and Brand set out to un-cause these tragic losses to the planet through the Revive and Restore project, a part of their ambitious Long Now Foundation. Among Brand’s successful ventures are the Whole Earth Catalog, launched in 1968, organizations including The WELL, and books most recently including Whole Earth Discipline: An Ecopragmatist Manifesto. Phelan occasionally refers to herself, accurately, as “a serial entrepreneur.” The two married in 1983, and live on a tugboat in Sausalito CA. For this writer, a hopelessly right-brained (myth or not) Art major, much of the scientific explanation defied easy understanding. But the possibility of taking a trip to the Arctic Circle to see these wondrous creatures actually walking the earth again? Great post. Humans HAVE caused so much damage to other species. It would be nice to get a few of them back.